Our Catholic Academy Trust is named after Rt Rev. 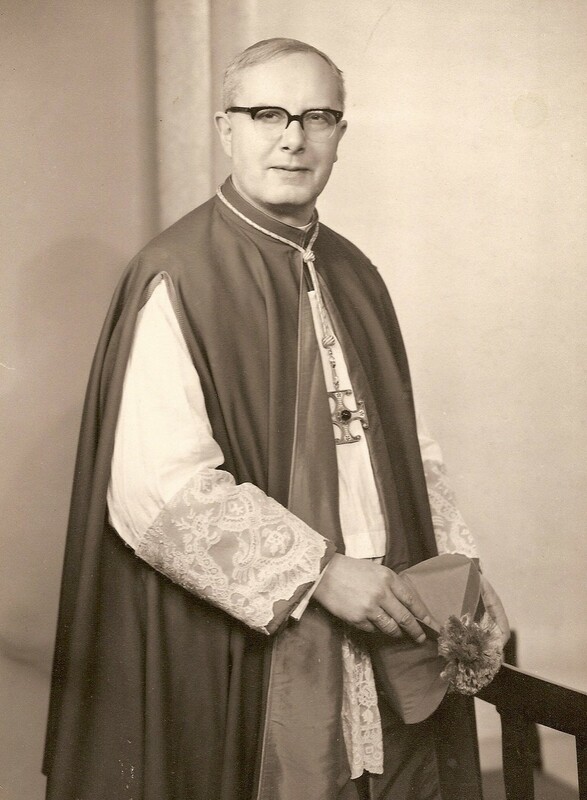 William Gordon Wheeler, who was the seventh Bishop of Leeds from 1966 until 1985. Portrait by Andrew Festing, 1989. You can see the original painting at Hinsley Hall Pastoral and Conference centre. Photograph Owner Mrs Molly Hackett of Middlesbrough Courtesy of Ian Stubbs. Bishop Wheeler was a friend of Molly and gave her the photograph himself. In 2011, the Diocese of Leeds proposed five Academy Trusts for our Diocese. 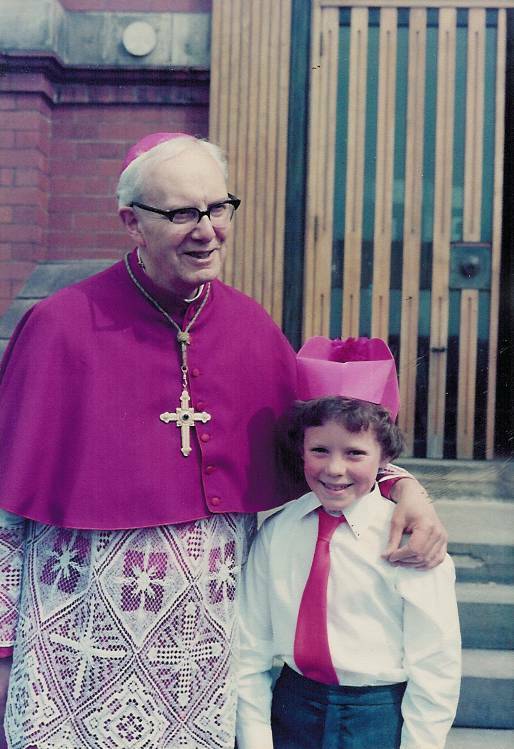 Bishop Wheeler was a much loved and respected figure in our diocese, and far beyond. 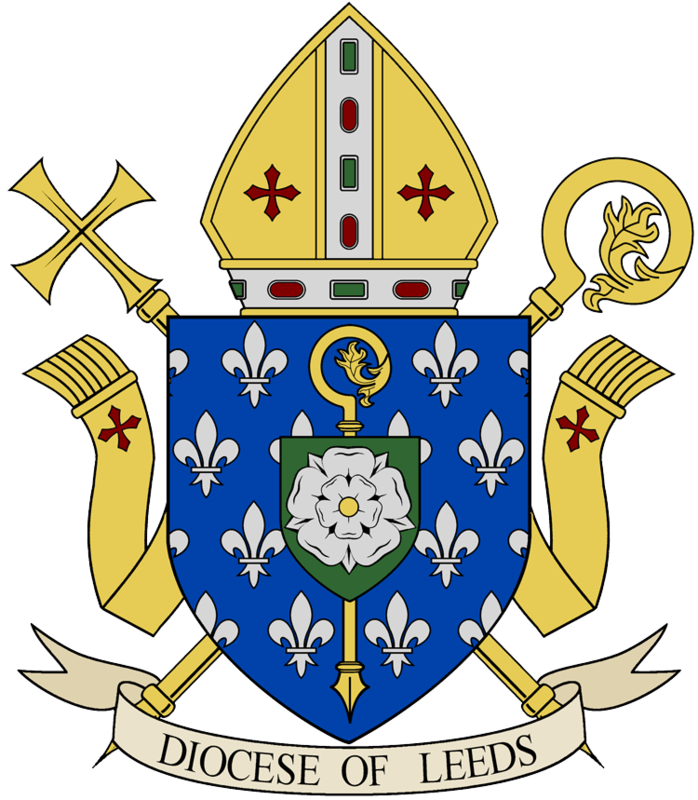 The motto on his episcopal coat of arms was “Veritas et Caritas” (Truth and Love) and the essence of his life as both priest and bishop was his abiding desire to serve the Church in truth and love. “We are called to bear witness to our Faith, above all with love. And we do above all because we love our countries and long to save them and our children and all our people from the degradation of our time...Spiritual renewal and spiritual steadfastness, like that of our Martyrs , is the only antidote." Born on May 5 1910 Born in the village of Dobcross near Saddleworth, then in the West Riding of Yorkshire (now in the Metropolitan Borough of Oldham), England. Moved to Worlsey in Lancashire after the outbreak of World War 1 to live with grandparents and aunts. Went to University College, Oxford to study History and then Theology. Received into the Catholic Church (aged 26) at Downside Abbey, went straight to Rome to study for the Priesthood (at Beda College). Curate at St Edmund’s, Lower Edmonton in North London during the worst years of World War 2. 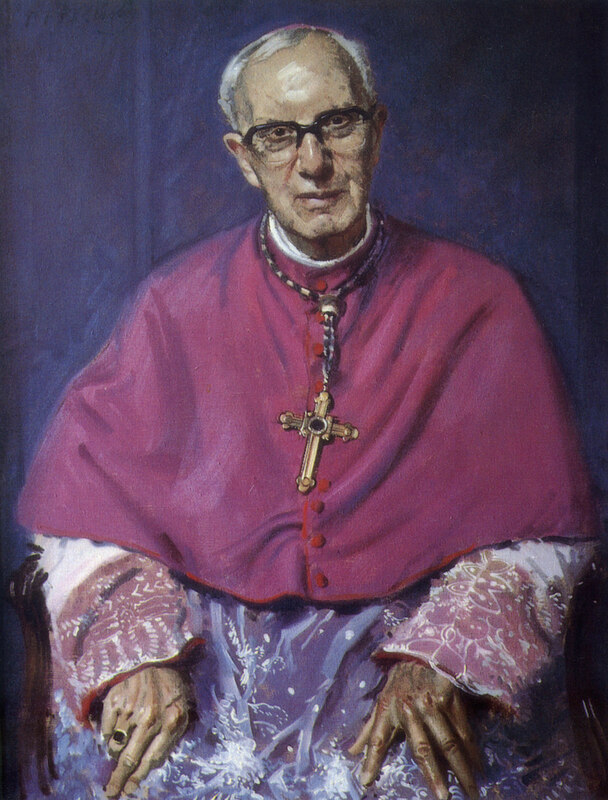 Coadjutor to the Bishop of Middlesborough, attended the later sessions of the Second Vatican Council. Autobiography In Truth and Love published. His last wish was to be laid to rest a stone’s throw from Bishop Poskitt, also a convert from Anglicanism, in the crypt of the church of Clifford, near Wetherby. His sermons were famous for their elegance and force. He would preach with particular passion on the Resurrection standing not at a lectern, but directly in front of his congregation. Bishop Wheeler lived at Eltofts, a stone-built house in the country a few miles outside Leeds. There he and his chaplains made a point of trying to solve The Times crossword everyday. 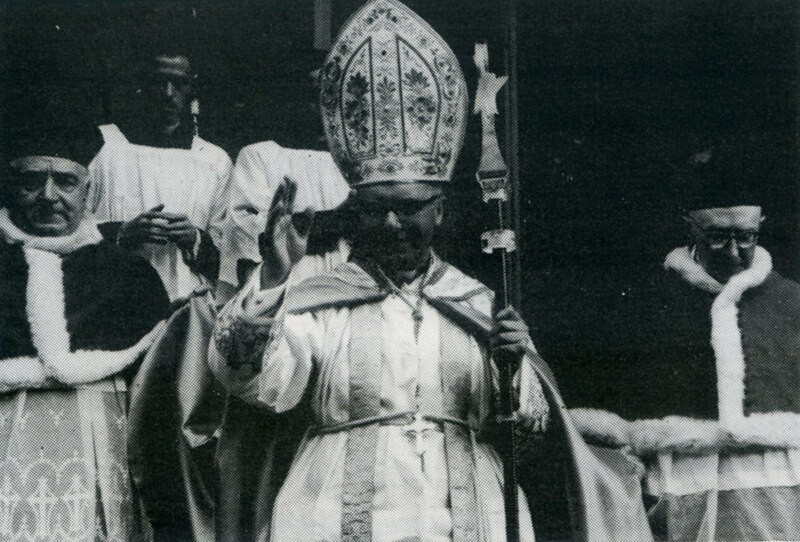 After Cardinal Heenan’s death, Bishop Wheeler was one of the front-runners for the See of Westminster and the red hat. As the Yorkshire Post pointed out at the time, he would certainly have been chosen if it hadn’t been for the frail health which dogged him for most of his life. On his annual holiday in Whitby (in North Yorkshire), he would dress in a blue shirt and grey flannels and go down to the harbour to haggle with the fishermen landing their catches. Later he would return triumphantly, with a happy smile on his face, the newspaper-wrapped fish in one hand, and the sixpence he had saved in the other.